On Friday 22nd March, 250 people scaled one of Wales’ highest peaks, raising over £25,000 for Cancer Research Wales. The hike was in memory of Tom Walker, who died from leukaemia last June, aged 13. 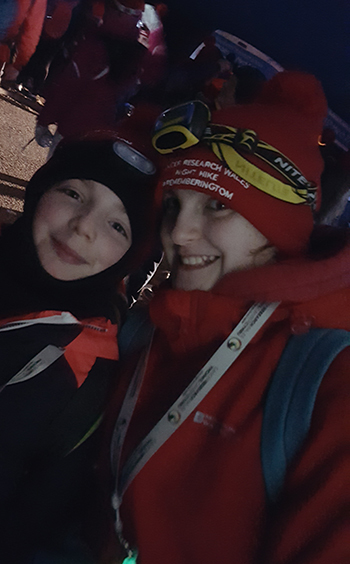 Tom, a pupil at Monmouth School for Boys, was the youngest of 90 people who defied cold and wet conditions to tackle the first Brecon Beacons Night Hike last year, and his family, friends and teachers retraced his steps last Friday. 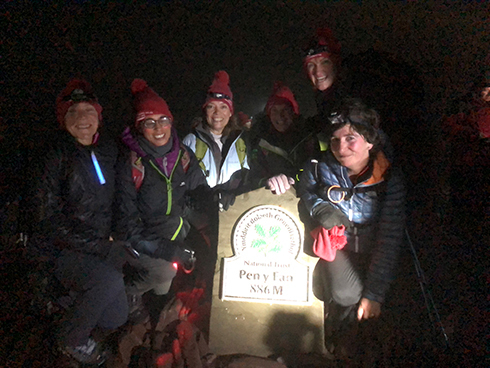 Staff at Haberdashers’ Monmouth Schools were among the 250 people who took part in Friday’s Brecon Beacons Night Hike. Staff at Haberdashers’ Monmouth Schools were among those who scaled Pen y Fan to raise money for Cancer Research Wales. It was a special evening, with wonderful camaraderie from all those who scaled Pen y Fan. Tom’s youngest sister Emily, a pupil at Monmouth School Girls’ Prep, gave a moving and inspirational speech. 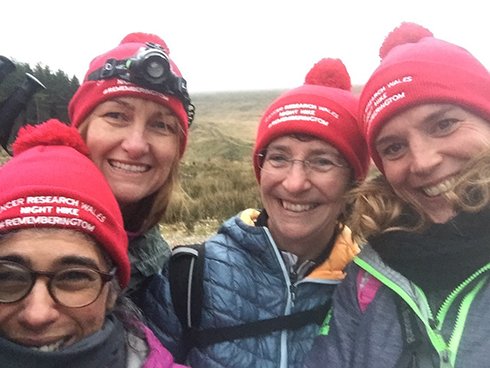 The money raised from the hike will go towards the cost of funding a three-year £100,000 PhD research project, set up by Tom’s family with support from Cancer Research Wales, into Acute Myeloid Leukaemia. Tom, from Devauden near Chepstow, was a keen swimmer and had been learning to row on the River Wye. Tom’s youngest sister, Emily Walker (left) with friend Ailsa Whitehead at Friday’s remarkable fund-raising event.